Firestone, Carrie. 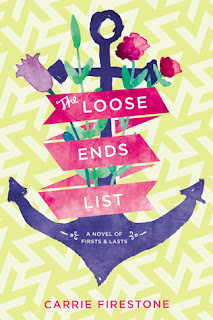 The Loose Ends List. Little Brown BFYR, 2016. Maddie is ready to enjoy her last magical summer before college when her grandmother calls everyone to her house and gives them this news: she's dying and she's booked them all on a cruise so she can spend time with them before she dies. This special cruise is only for terminal patients and their families, and the patients have all chosen to end their lives on their own terms. 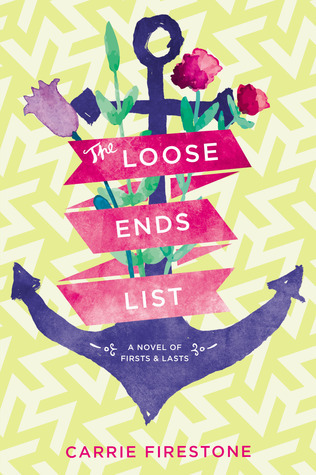 Maddie somewhat reluctantly joins her family on this cruise and gets to know the other cruise guests and celebrates their lives and their deaths, all the while knowing her grandmother may choose to end her life any day. This was an unusual take on the typical "road trip" story in that it's a cruise instead. Also, there are very few YA books about physician-assisted suicide, so I am grateful for the compassionate way in which this tough topic was handled. I am glad Maddie got to grow and come out of her shell a bit and meet other people and come to terms with her grandmother's death. Without this serious topic, flighty Maddie would have gotten on my nerves. Her insta-love relationship with Enzo was not my favorite sub-plot, but it may draw readers to this book who wouldn't pick it up otherwise.